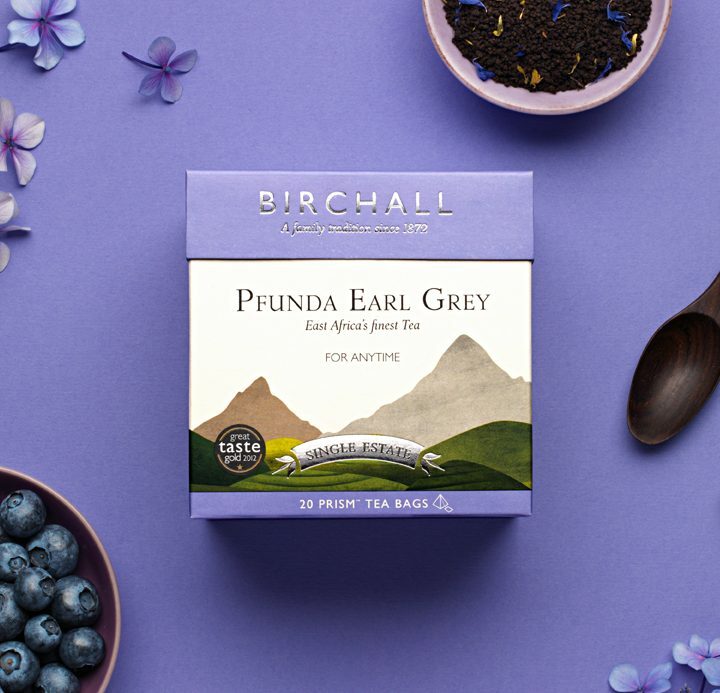 Pfunda Earl Grey is a scented pure origin tea grown exclusively at Rwanda's leading tea estate; acknowledged as one of the most inspired and innovative tea gardens in East Africa, with a strict adherence to sustainable methods. Tea bushes grow slowly, at high altitude and relatively low temperatures and subsequently blended with a traditional Bergamot oil to give a distinctive flavour of citrus, with spicy floral notes. A famously bright, fragrant tea, perfect anytime.